A guide to the pros and cons of working out while high as well as using marijuana for post-workout recovery. Although marijuana has long been stereotyped as the substance of choice for couch-surfers and slackers, many athletes insist it’s a performance-booster that’s upping their workout game. Is there any evidence that smoking marijuana and working out has benefits, or is it a potentially dangerous combination? Does working out while high have more benefits or dangers? Does Working Out High Help or Hurt? As cannabis becomes legalized in more areas, it’s becoming more commonplace with everyone – including athletes harnessing marijuana’s health benefits to boost their training regimes. In particular, edibles, such as weed-based power bars, vaporizing, and cannabis oil extracts are popular among the super-fit because they don’t involve inhaling smoke into the lungs. Some athletes depend on marijuana to increase their pain tolerance and find relief from pre-workout anxiety – with both elements helping them push harder through their training. For example, triathlete and gym owner Clifford Drusinsky recently told Men’s Journal that before his morning training sessions, he consumes 20 mg of THC in a marijuana energy bar. However, other exercise enthusiasts reject the idea of working out stoned, citing marijuana use as decreasing their motivation and giving them food cravings. What does the available science have to say on this topic? The research shows that there is hard scientific evidence to back up claims from Drusinsky and others who have touted the benefits of working out while high. It turns out that the active ingredients in marijuana can lessen inflammation, calm the mind, and stimulate endorphins. The cannabinoids in marijuana have anti-inflammatory properties that can suppress pain. This is one of the reasons that many athletes are using marijuana not just as a pre-workout pick-me-up but also as a post-workout treatment for injuries. It can calm the mind and increase focus. Whether athletes are suffering from performance anxiety or need to direct their attention and focus, marijuana can be good for both. CBD (an active ingredient in marijuana) and whole-plant marijuana have been shown to be effective treatments for anxiety, with CBD being particularly effective at creating a sense of calm and well-being. Cannabis stimulates feel-good receptors in the brain. THC acts as a bronchodilator. Studies on THC (the active ingredient found in the highest concentrations in many marijuana strains) have revealed that it produces bronchodilative effects. The increased airflow as a result of consuming marijuana and working out could offer a potential athletic advantage and boost in performance. There may be a link between marijuana and metabolism. Several studies have looked into the connection between cannabinoids, metabolism, and body weight. One team of researchers found that THCV improves insulin sensitivity in mice and creates body weight reduction. Another study found that the incidence of obesity is lower in cannabis users than in those who abstain – a finding that is surprising given that marijuana is well-known for stimulating hunger. This doesn’t create any solid evidence that marijuana is a weight loss supplement (especially since most strains of marijuana are incredibly low in THCV), but it’s hardly bad news for those who enjoy smoking marijuana and working out. Can marijuana and exercise go hand-in-hand to boost metabolism? Athletes differ on their preferred ingestion methods when preparing for working out high. Some opt to smoke marijuana, while others choose edibles, and still others prefer vaping cannabis. Each method comes with different pros and cons. The biggest benefit of smoking marijuana before working out is that the effects kick in right away. The downside of ingesting marijuana by smoking is lung damage and irritation – two issues that are especially concerning to athletes working to be in tip-top shape. Vaporizing marijuana flower or oils eliminates this concern. Smoking/vaporizing cannabis gives athletes the ability to carefully control the dosage consumed. Getting extremely high before or during a workout is inadvisable, so microdosing by taking just a few puffs (one to three is generally sufficient) is the best way to create a balance between working out stoned and becoming too intoxicated to have a safe and effective gym session. Some athletes prefer marijuana-infused edibles when they work out because they’re a convenient and subtle way to consume cannabis. Edibles can make microdosing more difficult, however, and they typically take at least 30 minutes to kick in, so those using them for a boost during their workout will have to consume them well in advance. Sublingual tinctures work faster – within approximately 15 minutes – and can provide an alternative to slower-acting edibles. While working out high and using cannabis for post-workout recovery may serve a positive purpose, there are also reasons why athletes and fitness aficionados should be cautious. Marijuana is a particular concern for competitive athletes, as many of the organizations that govern competitions and events require participants to submit to drug testing. The World Doping Agency, for example, drug tests Olympic athletes, Ultimate Fighting Championship competitors, and participants in other major sporting events around the world. In 2018, they removed CBD from their list of prohibited substances, but all other forms of cannabis are still currently banned. Having a burst of marijuana-generated endorphins when starting a workout feels wonderful to many athletes, but if they don’t manage their high carefully, it can result in injury. Any substance that affects an individual’s decision-making ability when they’re handling heavy weights or testing their own physical limits can result in pushing the boundaries too far. 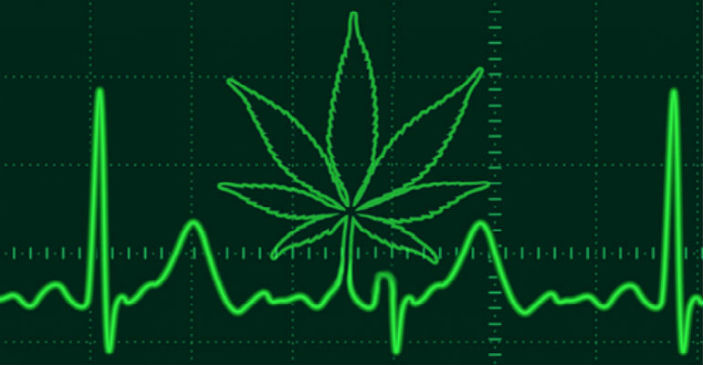 Cannabis also increases the risk of heart attack in the hour after smoking it. In addition to this, it raises heart rate and causes blood vessels to dilate. This puts additional stress on the heart, and it’s why smoking marijuana before working out could be dangerous for someone with heart disease. Athletes who exercise high on marijuana must be aware of potential cardiovascular risks. Most people think of marijuana as a substance that only makes people drowsy or silly, but the effects depend on the dose as well as the strain. Some strains offer an ideal pre-workout boost, while others are better off left for the recovery period after an intense workout. For those who are interested in exercising while high, sativa cannabis strains may be an excellent choice. They’re known for providing an energizing, head-based high that’s uplifting and increases focus and motivation for bodybuilders working to get through long sets of reps.
Indica strains, meanwhile, can be helpful for those who prefer to smoke marijuana after working out. These strains are generally good for relaxing muscles and calming pain. Sativas and indicas aren’t one-size-fits-all, however; each individual strain has different amounts of THC and CBD as well as different terpenes that alter its effects. The following are common questions people have about working out high on marijuana. Is it dangerous to exercise high? Exercising while high may be dangerous for people with cardiovascular disease due to marijuana increasing heart rate, blood pressure, as well as overall heart attack risk in the time immediately after smoking it. For those without heart disease, becoming intoxicated could increase the risk of injury while working out. What are the best strains to choose when smoking weed before working out? While many people believe all marijuana bogs users down and makes them lazy, sativa marijuana strains do just the opposite. They’re known for giving people a stimulating high that motivates them and increases their focus. This makes sativas excellent strains for working out high. Is it bad to smoke weed after working out? In addition to being a great way to reward oneself after a challenging workout, using marijuana after exercising can help your body recover. Both THC and CBD have anti-inflammatory properties and can reduce pain, which is especially helpful after a new or particularly strenuous workout regimen. What strains are best when smoking weed after working out? While sativa strains are best before a workout, the best post-workout strains may be indicas. Known as the “sleepy” marijuana strains, indicas soothe both mind and body. They relax muscles, ease pain, and are an excellent way to come down after an intense workout. While some athletes insist that working out high helps boost their performance and speed along their recovery afterwards, others feel that marijuana negatively impacts their exercise routine and overall health. Anyone who is thinking of smoking marijuana and working out is advised to start slow – both in terms of dosage and intensity of workout while under the influence. Individuals should also take any cardiovascular issues into consideration before combining marijuana and working out. Smoking marijuana after working out is less controversial, as it reduces cardiovascular concerns and can help with the pain, tense muscles, and inflammation that can result after a new or particularly strenuous gym session. While smoking marijuana and working out may seem an odd combination to some, exercise fanatics are finding that experimenting with cannabis has the potential to expand their athletic horizons.